PE discovers how three into one can BerlinGO….with the right Partner! It may not be that much of a challenge for even the most culturally uninitiated to spot the significant differences between Luton and Paris, but in terms of recent van launches the margins of differential were considerably more subtle, even to our discerning eye. That’s because the new Vauxhall Combo, Peugeot Partner and Citroen Berlingo all share the same parents, the giant PSA group. So, a week after the unveiling of the new Combo, we had swapped the rolling Bedfordshire countryside for a test drive in the beautiful and very agreeable Chantilly region, made famous by its lace and cream, forty miles from the French capital. Having said all that about the “triplets”, they’re not completely identical. 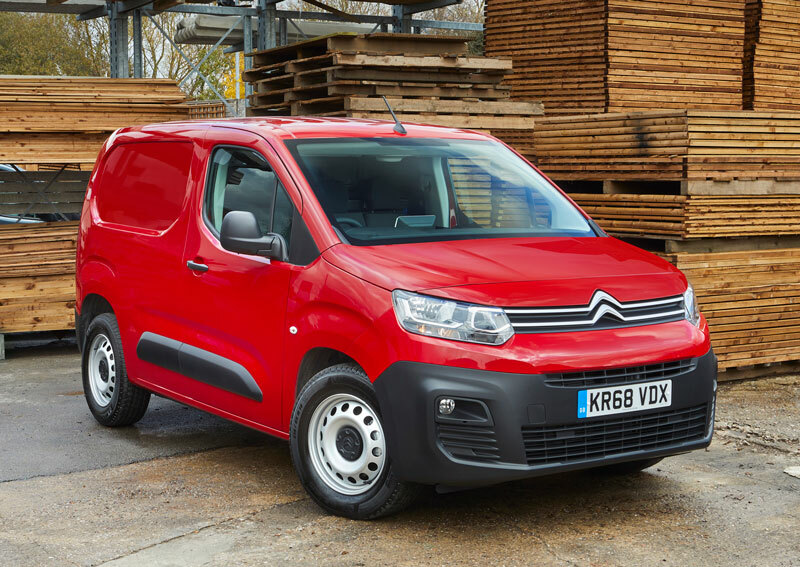 In fact, the new Berlingo takes its outward profile influence from the larger Citroen Dispatch, as well as the company’s latest passenger models, to give it a more distinct look over its sisters. After that you pretty much pays your money and take you choice because the various special features and innovations, like an overload indicator and a highly flexible seating arrangement, tested one suspects to distraction by PSA technical bods, differ in name only. For example, for those users who are likely to do above average mileage there are the “Driver” (Citroen) and “Asphalt” (Peugeot) with, amongst other things, upgraded soundproofing, extra comfort seats and even rain and brightness sensors. A Citroen “Worker” package, like the Peugeot “Grip” options, provides improved underride protection on-site, thanks to a sump guard and latitude tour, mud and snow tyres for added traction. The chassis height is also increased by 30cm. 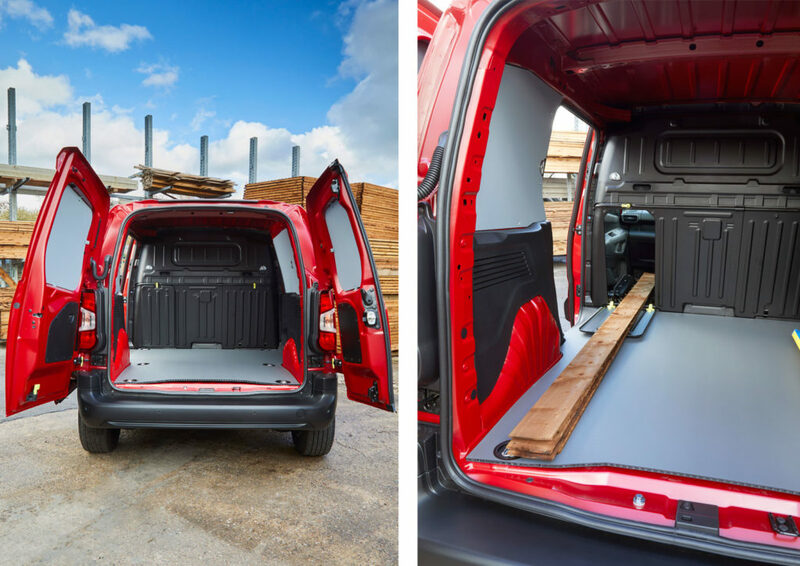 As the name suggests, an Extenso pack creates additional loading flexibility, along with three seats, whilst a five seater crew cab completes the line-up. Sitting in the driver seat one of the most noticeable differences between the Berlingo and the Partner is the dashboard layout. While Peugeot sticks with its well-regarded Cockpit layout, with small steering wheel and dials above the wheel, the Citroen has a more conventional set-up with a standard wheel and dials set behind it. At 650 to 1,000kg, common payloads are impressive, whilst load volumes up to 4.4m3 are available on the longer models. Peugeot keeps it simple, with two load lengths, standard and long, whilst Citroen slightly over complicates with M and XL. There are enough abbreviations already in the world of commercial vans, one would have thought! All the work done on the vehicle structure and on weight optimisation is key to what the manufacturers claim are performances which are right up there with the best in class in terms of fuel consumption and CO2 emissions. Three diesel engines are offered, including an eight speed automatic transmission and two 1.2 Pure Tech petrol engines. Prudent drivers can expect to achieve over 60mpg on selected models. 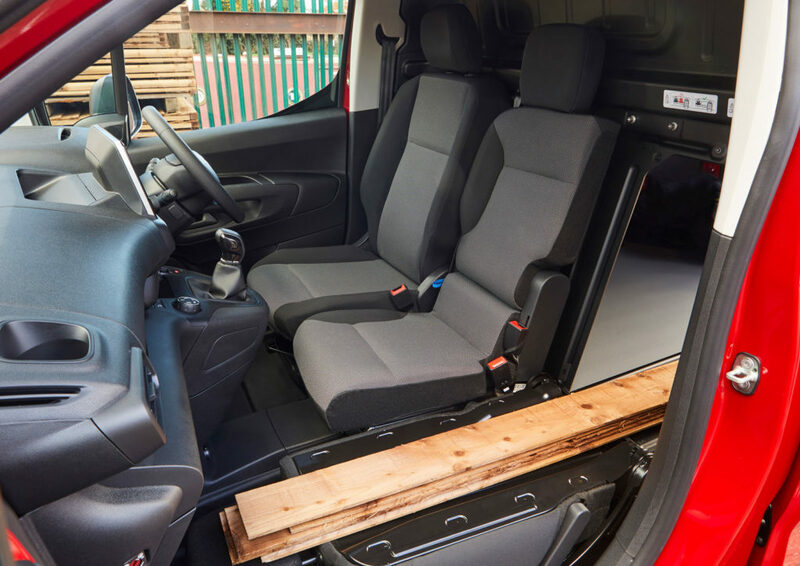 It’s fair to say that the previous Berlingo and Partner models provided users with good space, but not much else of note in terms of refinement. That has clearly been addressed by PSA, and levels are certainly comparable with the modern passenger car. This, together with the array of well thought out add-ons, combine to make the vans a very viable option for a wide variety of business users. The Chantilly cream, in van terms, has once again risen to the top!